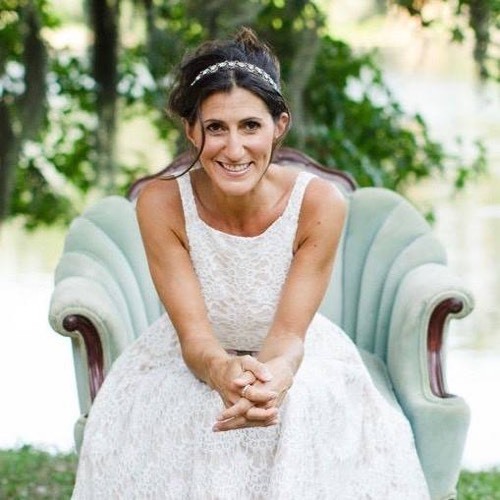 Christine Vales: "Blast-Off into 5779: Awaken and Return!" As I read through Christine Vales latest article, I was impressed how well she understands this time of the year and the prophetic meaning behind it that we can all glean from. Whether you celebrate the Jewish calendar or not, there is so much to learn from historically in this time. This is not only a year of fruitfulness, but of double fruit! For the year of fruitfulness begins in the month associated with the tribe of Ephraim, whose name actually means "double fruitfulness." How awesome is that? May our hearts be encouraged as we hearken unto His shofar blast into 5779... and believe! "Blast-Off into 5779: Awaken and Return!" Three, Two, One...Blast-off! Welcome to Tishrei! The seventh month of the Biblical year starts off with a blast. It's the blast of the shofar! This blast rings out on the very first day of the month, known as the "Feast of Trumpets." It is a call to "Awaken"! Literally, a "wake-up call" from the Lord. This season is all about awakening our hearts to return to the Lord. This is something we would not normally do on our own. The Lord knows we have a tendency to drift, so in His great love for us, He initiated this season to keep us in communion with Him. 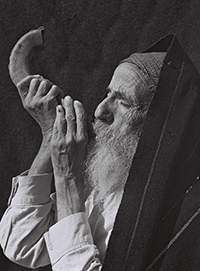 We hear His shofar blast several times in this month of "The High Holidays." Now that He has our attention...let us tune-in to hear His Word at every turn. We hear a second blow of the shofar at the top of this month, calling us to "Return"! In the Old Testament, this marks the ten-day countdown known as "The Days of Awe." This is a time of reflection and returning. The Hebrew letter of the month, "Lamed," pictures a shepherd's staff which prods sheep back to their Shepherd, their absolute source. At the end of these ten days, the shofar blasts once again, calling us to "Repent"! This is called "The Day of Atonement" also known as "Yom Kippur." This is the holiest day on the Hebrew calendar marked by fasting and confession. A Time to Atone and Cover Our Sins with the Blood of Jesus! But what about us today? God required the blood of an animal for the atonement of sin in the Old Testament. "For the life of the flesh is in the blood, and I have given it to you upon the altar to make atonement for your souls; for it is the blood that makes atonement for the soul" (Leviticus 17:11). This atonement only covered sin, it did not erase it completely. Therefore, He made a new and better covenant with us in the New Testament through the Blood of His own Son, Jesus. As it is written, "For He made Him who knew no sin to be sin for us, that we might become the righteousness of God in Him" (2 Corinthians 5:21). Jesus was the perfect sacrifice and "took on" sin just like the goat did, only better – much better! Jesus took on the sin of the whole world! His Blood erased it once and for all. The ultimate sacrifice was offered and accepted by the Lord, but the question is: Have we accepted Jesus' Blood on our behalf? When we do, the divine exchange takes place. He takes on our sin and we take on His righteousness or right standing with God. So whether we are responding to His call for the first time or re-dedicating our hearts, may we come before Him with a heart like David in this season asking the Lord, "Search me, O God, and know my heart; try me, and know my anxieties; and see if there is any wicked way in me, and lead me in the way everlasting" (Psalm 139:23-24). When we allow Him to shine His light into our hearts and lives, He brings His lovingkindness and truth. His truth in love leads us to repentance and ultimately brings us joy and peace with God. Hence the blasts of the shofar. The blasts are calling us to: Awake! Return! Repent! Following this time of repentance and reunion with the Lord, a final blast rings out. This one calls us to "Rejoice"! This begins the "Feast of Tabernacles" or "Sukkot." This week-long feast not only celebrates the Lord's physical provision of the fall harvest, but also rejoices in the spiritual provision of the Lord Himself, who tabernacles in our midst. One of the joys of this feast is celebrating in our own "tabernacle" or "tent." "You shall dwell in booths for seven days. All who are native Israelites shall dwell in booths..." (Leviticus 23:42). The Lord appointed this time for us to build our tent to remind us of His faithfulness to us, just like He did with the Israelites in the wilderness. 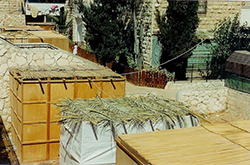 As we gather in our tent or "sukkah" with family and friends, He meets us there. It is a time for all of us to rejoice in the faithfulness of our Good Shepherd! This is the grand finale and truly a time to rejoice for "...In Your presence is fullness of joy..." (Psalm 16:11). Lastly, it is important to know that Tishrei means "beginning." After hearing and discovering the meaning of each blast of the shofar, we can clearly hear His invitation. As old habits and cycles end, a new life in Him begins. This also coincides as the new civil year begins on Rosh Hashanah. As the numerical year turns from 5778 to 5779, we turn and return to the Lord. This is not only a year of fruitfulness, but of double fruit! For the year of fruitfulness begins in the month associated with the tribe of Ephraim, whose name actually means "double fruitfulness." How awesome is that? May our hearts be encouraged as we hearken unto His shofar blast into 5779... and believe! "I would have despaired unless I had believed that I would see the goodness of the Lord in the land of the living" (Psalm 27:13 NASB).